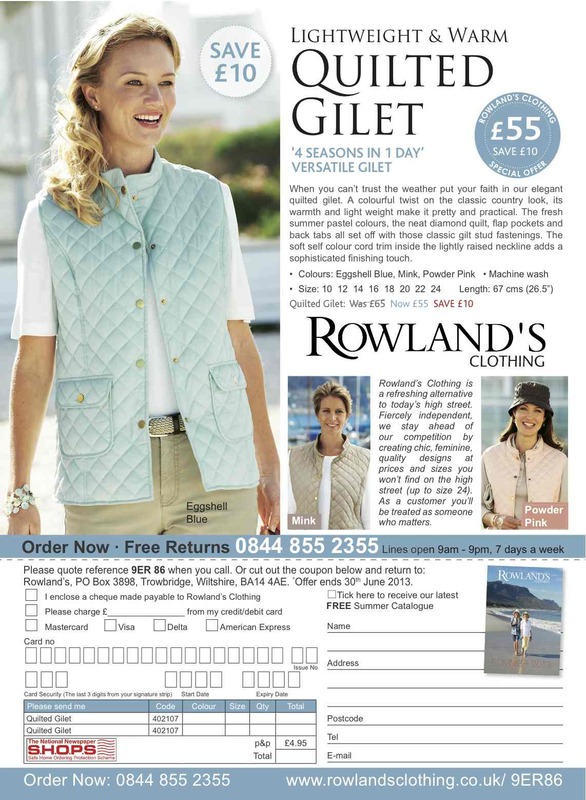 Rowland’s Clothing are the latest DJH fashion client to run a Spring campaign aimed at off the page response. The creative supports the brand imagery and sells their Quilted Gilet. Full pages in national press supplements and national magazines will build brand awareness and generate direct sales. Rowland’s has an older, upmarket audience, ideal for off the page offers, and well served by the national press and magazine sector. DJH have a wealth of experience in response advertising for home shopping and online fashion clients. As well as Rowland’s, campaigns have run for Crew Clothing, Carr & Westley, Peter Christian, Madeleine Fashion and jewellery for Pia. You can view DJH’s fashion gallery here.